women are known as the water carriers, though few men would disagree with that. I am talking about carrying water on head with such balance, which seriously is an awe inspiring sight. Hats off to such courageous and strong women. For city dwellers like me, it’s a non-achievable feat. But years ago, somewhere in early AD 1000, a woman (obviously a queen) thought of building a stepwell for the people, i am sure, she must have thought about the women too. 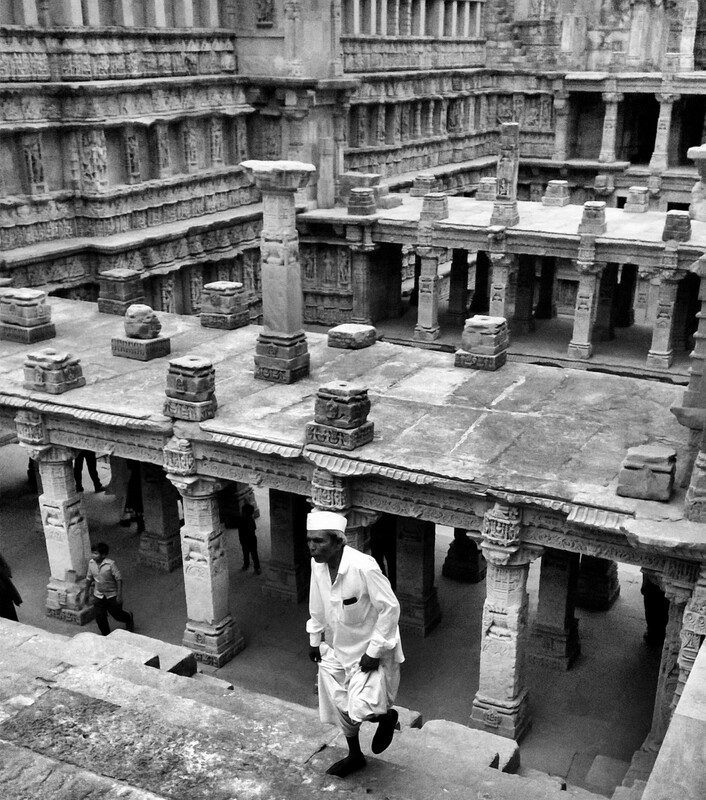 The architecture of the stepwell (locally known as vav) is magnificent, the pillared multi-stored pavilions and beautiful sculptures would leave you mesmerized. If you have a look at the water history of india, stepwells were one of the most prominent water conservation method in use then. Those who are visiting can plan a day trip to patan. The stepwell of patan is popularly called rani no vav (translation would be queen’s stepwell) has been declared a World Heritage Site by UNESCO in June 22, 2014.